The following post was written by Stacey Ross, a 2nd-grade teacher in Austin, Texas, and Franki Sibberson who teaches 3rd grade in Dublin, Ohio. Both serve on the Charlotte Huck Award Committee. As literacy teachers, one of our most important roles is to get the right books into the hands of our students. As full-time teachers, it is important that we are readers of children’s literature and that we read and share those books that are best for our students. But as full-time teachers, we don’t have unlimited time to read, so we have to choose which books to read thoughtfully. We always have personal favorites, and we keep up with the books that are popular with students. But we want more for our students than a classroom library filled with these books. It is easy to get caught up in the books that are marketed to kids—the books that having selling power in chain bookstores. We know that those books are important to a child’s reading development, but we also know it is our job to put a variety of quality books in our students’ hands. We don’t have time to read every book published, so one of the most important things we do is to follow award lists. Both of us have followed book award lists for years. It’s one way we can keep current on quality new books that might be perfect for our classrooms. This book talk isn’t just noise in teachers’ ears, it is the guiding force helping teachers narrow their choices about the very books they will purchase, often with their personal funds. Helping teachers hone in on books sure to inspire imagination and compassion gives teachers a vehicle to provide literary experiences that have the power to transform the lives of their students. Give us a way to think outside of the district-provided texts. State- and district-funded classroom materials often do not include literature in the form of classroom libraries. Most provided texts have some type of purpose tied to mandated curricular objectives, which may conflict with student interests and current trends in literature. The award lists provide teachers a trusted place to look when they are trying to place the perfect book into a readers’ hands. Honor texts written for children and the authors/illustrators who craft them. This is a way to shine a light on reading and being read to. Over the years, we both have come to rely on the annual NCTE book award lists. We love the variety of books we can find based on these lists, and we know we can count on NCTE to choose books that are right for our students. We find that, collectively, NCTE has children’s award books that help us fill in gaps in our classroom libraries. Through these lists, we’ve discovered books that meet the diverse needs of our students, and we’ve learned to look at books in ways that go beyond our own personal tastes as readers. We’ve learned to appreciate books that deal with serious issues as well as those with humor accessible to young readers. 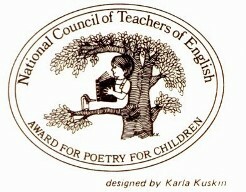 The following NCTE awards provide teachers insight into quality nonfiction, fiction, and poetry. We follow the lists and often add several award-winning books to our classroom libraries. We love the added fun and have enjoyed webinars focused on the awards. As teachers, we find these award lists and the information around them to be one of our best tools when finding new books for our young readers. This year, both of us are serving on the Charlotte Huck Award committee. The experience of being part of a committee as classroom teachers has helped us both be more intentional readers and expand the ways in which we choose books for our own classrooms. We have learned to think about the awards in a different way as there are subtle differences in each award—a different lens with which each committee reads books. The NCTE’s Charlotte Huck Award for Outstanding Fiction for Children recognizes fiction that has the potential to transform children’s lives by inviting compassion, imagination, and wonder. Reading with an eye toward this is a different reading experience and one that we share with our students. Understanding that each award is different has reminded us how important it is to look at a variety of award lists when choosing books for our students. Conversations with other committee members help us to see things that we wouldn’t typically notice on our own. As we mentioned earlier, if we stick to books marketed to kids and don’t stretch our knowledge of books, we risk having books that don’t have the diversity we want for our students. The intentional choice to fill our classrooms with quality books rich in diversity pushes publishers and authors to reach out to our children as a way for them to see greatness in their likenesses and to find current discussions of and solutions to their problems. It also offers a chance for children to read about cultures and topics outside of their own experiences—nudging them to take on the stories of others, which allows for empathy, open mindedness, and unity. Make sure to look for the award session at this year’s annual convention!